Breathing properly can reduce your stress levels, improve your workouts and boost your immunity to infections and illnesses. Poor breathing can lead to panic attacks and even conditions like insomnia and depression. Breathing correctly means that our bodies are being supplied with the right amount of oxygen, replenishing our brain and other vital organs with essential nutrients. If you are not breathing correctly, your body can be robbed of oxygen, leading to a host of conditions. Breathing incorrectly can also affect the levels of carbon dioxide – or CO2 – in the blood. While oxygen is important for our bodies to function properly, CO2 is just as vital. Fiona Agombar, a yoga teacher and author, explains, ‘You need a balance of oxygen and carbon dioxide. If you breathe too fast, you breathe off too much carbon dioxide, which, in turn, will make your whole system too alkaline. What effect does breathing incorrectly have on my health? When we are babies, we all take deep, relaxing breaths from our abdomen – watch your children when they are asleep to see how their stomach rises and falls rather than their chest. As we get older, stress often changes the way we breathe. When we are stressed, our bodies operate on the ‘fight or flight’ response to whatever is scaring us. This means we take short sharp breaths to help prepare for the ‘fight’ we will have to face. But prolonged periods of stress mean we constantly breathe like this, only ever using the top third of our lungs. This causes us to breathe as if we were permanently hyperventilating. This leads to a poor exchange of oxygen and CO2 in the bloodstream, depriving our bodies of both vital gases. The physiological effect of a lack of CO2 can make you feel ‘spaced out’ and can lead to panic attacks, insomnia, dizziness and extreme fatigue, while lack of oxygen can rob your organs and muscles of a proper blood flow. Hyperventilating also increases the heart rate, leading to palpitations and contributes to feelings of anxiety and being out of control. When victims are having a panic attack, the best remedy is to let them breathe into a paper bag. This means they are re-inhaling the exhaled carbon dioxide, boosting their levels of CO2 back to normal. How can I breathe correctly? To find your diaphragm, sit comfortably or lie on your back on the floor. Place your left hand on your upper chest and your right hand on your abdomen, in the ‘gap’ of your rib cage. Try to alter your breathing so only your right hand moves as you do so. Yoga teacher Fiona Agombar has a few tips to make sure you are breathing properly. 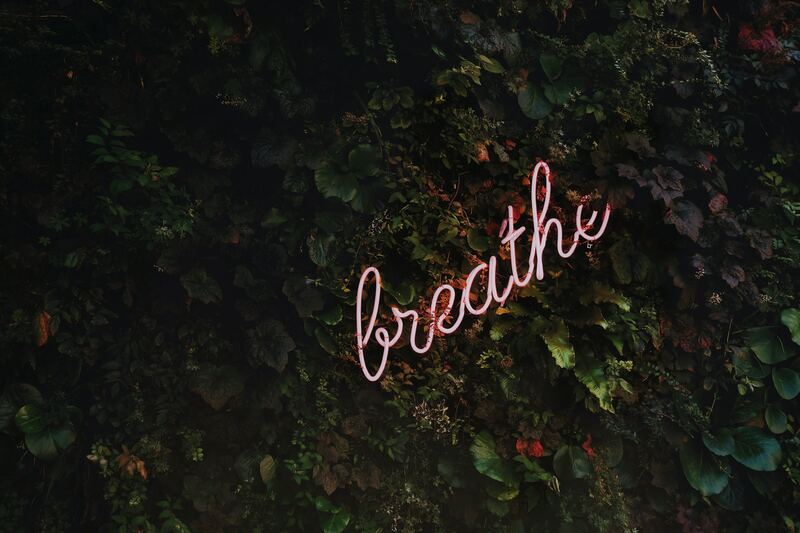 Slow, rhythmic breathing will help regulate the flow of oxygen and CO2, slow the heart rate – easing anxiety – and ensure your circulation is carrying the optimum amount of nutrients around the body. Regulating your breathing will also help boost your performance during aerobic exercise as your muscles will be fully replenished with the right amounts of energy-giving oxygen.